B-52 Cocktail, also known as Bifi or B52, is very easy to prepare and a perfect drink to celebrate various occasions. This gorgeous and multi-layered cocktail is a concoction of best quality triple sec, an Irish Cream and a coffee liqueur. You can imagine the popularity of this simple drink from the fact that it was named as the B-50 series of layered cocktails. Make sure that these three ingredients separate into three distinctly visible layers. B-52 with Bombay Doors, B-52 in the Desert, B-52 Gunship, and the B-52 with a full payload are the latest variants of the B-52 Cocktail. It will take you hardly 2 to 3 minutes to make this exotic drink, as you just have to mix the three ingredients. 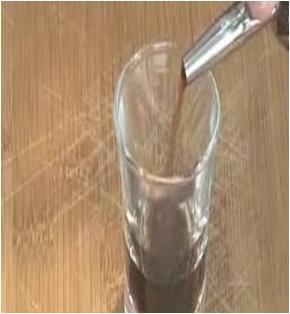 However, make sure that the three layers of the drink are clear and not inter-mixed. B-52 Cocktail is best served in a shooter glass. This recipe makes only one drink but you can increase the amount of each ingredient according to your taste and requirement. Lean how to make B-52 Cocktail and try it today. 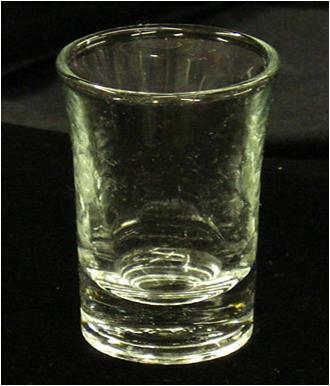 Take a shooter glass and place it in your refrigerator for few minutes or until chill properly. Remover the glass form refrigerator and place it on your kitchen’s table. 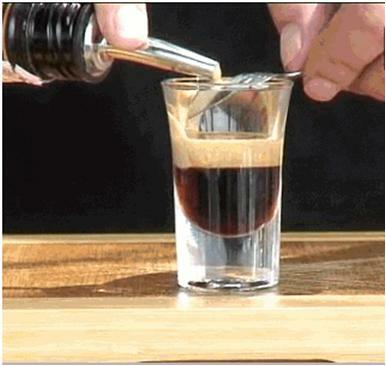 Now, gently pour 1 part of the coffee liqueur into a shooter glass and wait for few seconds until it settles down. 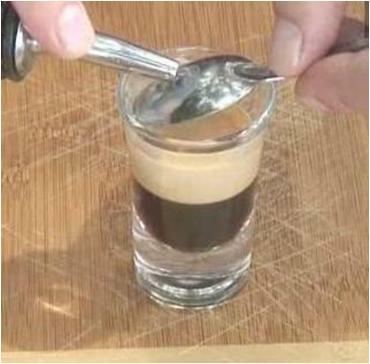 Gently pour 1 part of the Irish Cream over the back of a teaspoon onto the surface of the coffee liqueur in the glass. Now, top it with Irish cream with 1 part of triple sec and serve immediately.